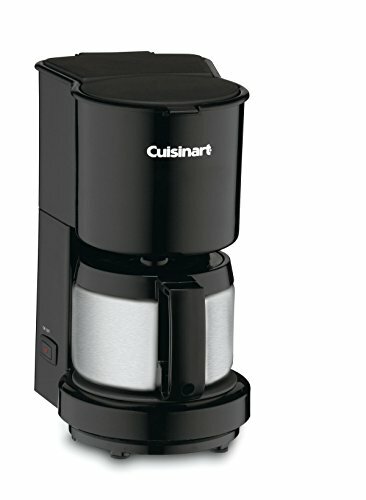 The Cuisinart 4-Cup Coffeemaker is just the right size for that coffee lover in your house. The stainless steel carafe has a comfortable handle and a dripless pour spout to make serving flavorful coffee easy. Includes two consumer-favorite features: Brew Pause, to let you sneak a cup mid-cycle, and a worry-free 30-minute shutoff. The compact design takes up minimal counter space and is easy to store.